Have you ever made your own lamp? I hadn’t. I’m really excited to share this project here on LCI with you today, and show you how easy it really is to wire your own lamp out of materials that are low cost or even free! My mother gave me this heirloom butter churn a couple summers ago when we were visiting her. She never had the metal churner, so I’ve been using it for a sunflower vase. It’s heavy and sturdy, perfect for large flowers. 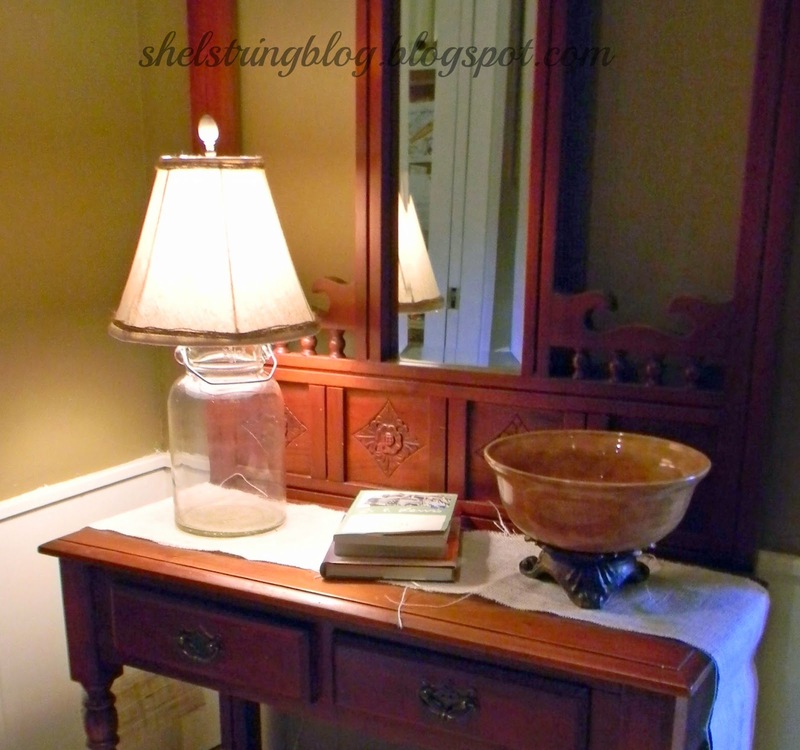 One day while I was out searching for a lamp for my hall console table at TJ Maxx Home Goods, I saw one that was made out of a butter churn jar just like mine! I was thrilled and knew then that I had to learn how to make my own lamp. The materials I used came from a lamp I found in a free pile at a yard sale I was at a week or so earlier. I picked it up thinking the wiring and hardware would come in handy to make into some hanging lamp or something one day. I broke off the ceramic base that was already cracked, and the rest proved to be simple to take apart. I also purchased another lamp for the shade and hardware to hold it, at our local thrift store for $2.50 on half price day. My husband then instructed me on how to disconnect the wiring so that it could be modified to fit. 2) Loosen screws to free wires. 4) Tighten wires back into place and tighten base screw to secure bulb base. 6) Add shade, plug in and enjoy! *NOTE: in order to keep the lamp shade hardware secure, electrical tape was wrapped around the underside of the base threading to fit snuggly into the hole of the lid. 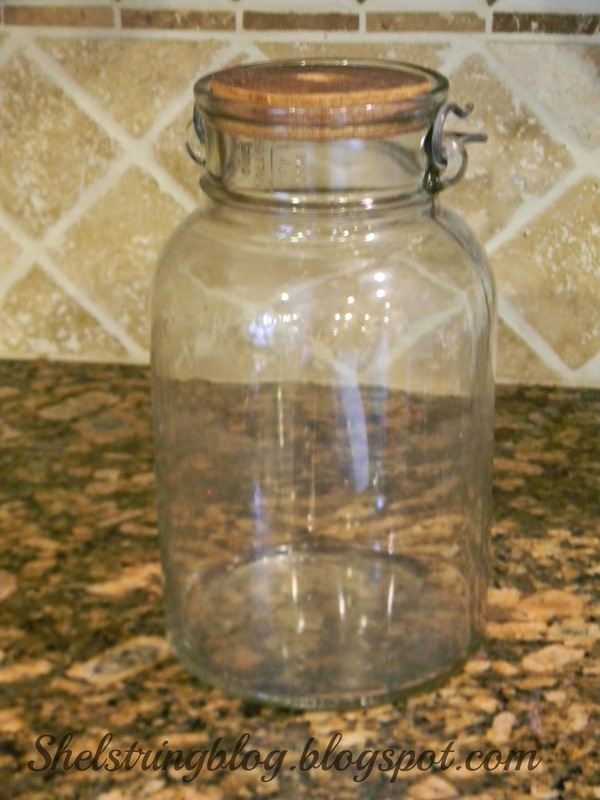 The cord lifts up through the opening of the jar and helps secure the wooden base into place. This proved tight enough not to slide or tilt. I love how the cord is hidden through the spindles of my table. It was the perfect remedy for my decorating dilemma and it only cost me $4.50 in materials. Don’t you love a great deal?! The best part about doing this project myself was that I didn’t alter or ruin a family heirloom at all and the top can be lifted to display things in the bottom of the jar, if I desire. If you have never tried wiring a lamp, I hope you will now that you see how easy it is to do. I thought it was quite a fun project! I hope you will join me on my blog at Shelstring to see what other projects I have going on or like me on Facebook. I would love to hear of your successes in your creating adventures as well. 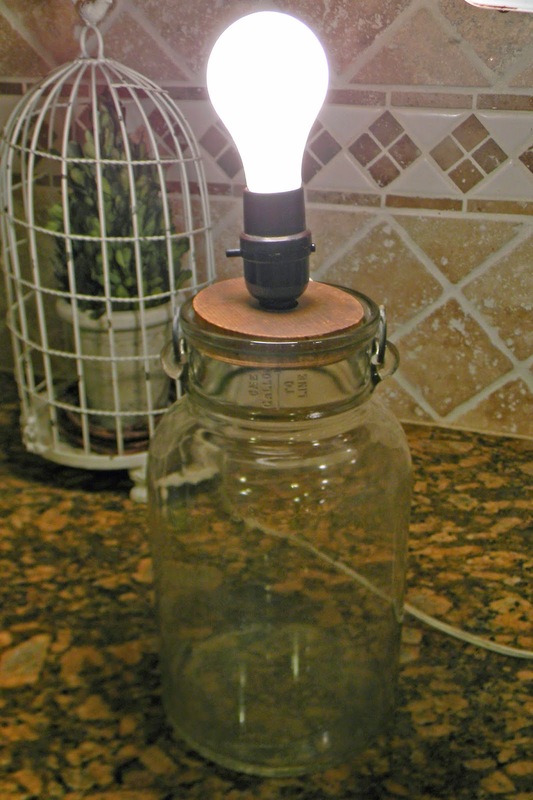 Simple and Excellent Idea with very less cost, more brightness is made available using jar. Want to try one for my bedroom. Your lamp is great! I have to remember to do this next time I come across a neat vase! I love this tutorial Michele! 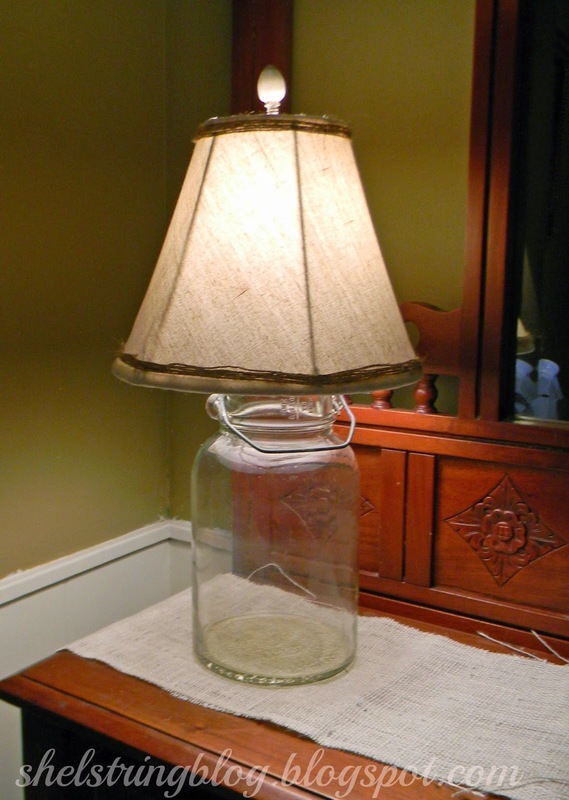 Thanks SO much, because I’ve always wanted to make a lamp…and your butter churn idea is awesome!